Barb Wire is a bounty hunter. She's now Dark Horse Comics' number one bounty hunter, now that Boba Fett has "defected" and made his way to the Marvel Universe. Still, Barb Wire has a mission and Dark Horse is hoping to assist in that mission. For every twenty covers of Marvel’s standard Star Wars #1 that retailers send to Dark Horse, they’ll get an ultra-rare Barb Wire #1 variant by Adam Hughes for FREE, with a clear message: don’t f*** with Barb Wire. Additionally, in a related promotion for the recently announced King Tiger miniseries, Dark Horse is planning to present a fully grown Bengal tiger to one lucky fan. The tiger, whose name is King (naturally), is a three-year-old male, nine feet, nine inches in length and weighs approximately 470 pounds. (Please note: tiger refuses to wear crown.) 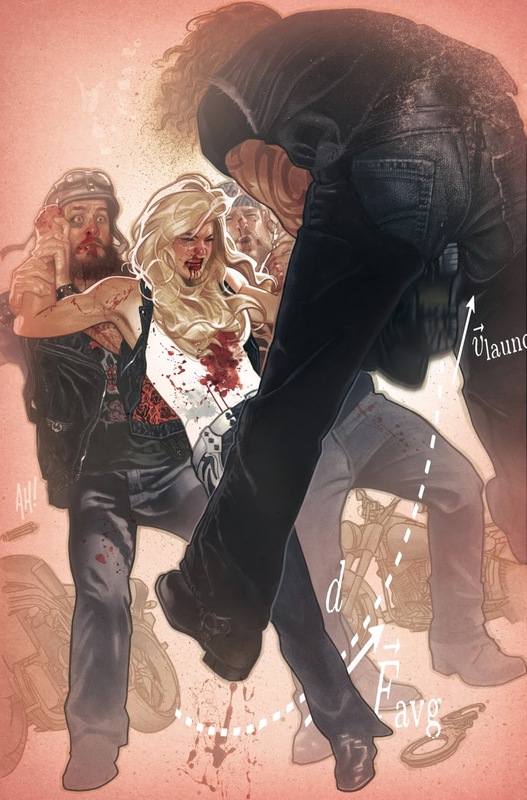 Barb Wire #1 hits stores in July, while King Tiger #1 hits stores in August. FOR IMMEDIATE RELEASE: MILWAUKIE, OR—Dark Horse’s number-one bounty hunter, Barb Wire, is back, and even more audacious! She’s ready to take no prisoners, and to celebrate her return, Dark Horse is offering retailers a special opportunity to get their hands on a rare variant cover. For every twenty covers of Marvel’s standard Star Wars #1 that retailers send to Dark Horse, they’ll get an ultra-rare Barb Wire #1 variant by Adam Hughes for FREE, with a clear message: don’t f*** with Barb Wire. Look for more information on both these promotions in the coming weeks!